You can make a videogame, but can you fund it? The best platform to fund your new videogame is at Uhelpfund, where creating your campaign is made simple. Showcase your cause to the international community with our blog pages, premier newsletter, and social media platforms. You may customize your videogame campaign with different fundraising styles. Create optional incentives and rewards for all your supporters. Most importantly, you may transact financially secure donations, by creating a Stripe account. Enter the category of your project, “Gaming,” for example. Then set your fundraising goals! Be sure to include the amount you wish to raise, as well as the length of your campaign. UHelp includes a step for optional perks offered by you to your donors. Customized rewards give your supporters greater incentive to donate more! Good ideas for videogame perks may include anything from copies of the videogame to donor-assimilated characters within the game. No matter what, rewards should be fun, simple, and cost-effective for you! The only way to successfully crowdfund is to expose your project to as many people as possible. By creating a campaign on UHelp.com, you may feature your project, and topics related to your project, on our blog page. By contributing updates about your project, UHelp will promote your blogs on our international social media platforms. Uhelpfund wants to showcase your cause to the world! Add pictures and videos to your campaign to further connect with your donors, too. GrantNews.comis the premier newsletter for Nonprofit and Business leaders. With contributions from leading fundraisers, business leaders, and GrantNews staff, we feature articles in the fundraising community to provide valuable tips, solutions, and opportunities for your cause. Here, you could write a feature article about your project and fundraising experiences to further support your videogame mission. UHelp.com is foremost a secure website, with HTTPS protection. The domain is protected on a secure server that provides privacy and authentication in all exchanged data on UHelp.com. When managing a videogame crowdfunding project, it is most important to be sure all financial transactions are secure. UHelp allows you to create a Stripe account to protect your donations, and your donors’ information. Stripe maintains all important, financial information on secure servers, protected from all security threats. It’s free to sign up for an account on UHelp.com! There are no costs to create your campaign. If you do not receive any funds, then you pay no fees whatsoever. For all finances raised by crowdfunding on Uhelpfund, there will be a small 5% platform fee, and the Stripe payment processing fees. 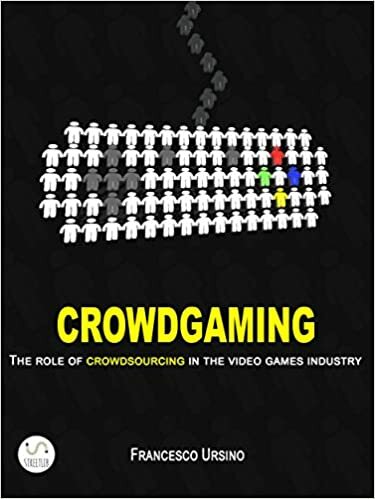 Find out how the videogame industry is transforming the ways its games are developed, published, and funded in this Kindle book, Crowdgaming: The Role of Crowdsourcing in the Video Games Industry by Francesco Ursino. Understanding the dynamics of how videogames are produced helps you determine the most cost-effective way of financing them. Ursino discusses the importance of communicating with your gamers and supporters in order to create a successful videogame! Raise the money you need to make your videogame a reality in four easy steps. 1. Create your campaign. 2. Showcase your cause. 3. Connect to Donors. 4. Raise Money. Include multimedia on your account to connect with your supporters! Gain exposure to our blog followers and our international social media community. All business transactions and information are 100% secure with Stripe accounts. It’s free to sign up on UHelp. Start raising money for your next videogame and begin your campaign today! I really enjoy looking at on this site, it has great blog posts. We are glad to hear that! Please continue to visit GrantsWE.fund. I was very pleased to find this web-site. I wanted to thank you for your time for this wonderful read!! I definitely enjoyed every little bit of it and I have you bookmarked it to check out new stuff on your blog. Outstanding post, you have pointed out some superb points, I likewise think this is a very good website. I was looking through some of your blog posts on this website and I believe this site is rattling instructive! Keep on posting. I will immediately grab your rss feed as I can not find your email subscription link or e-newsletter service. Do you have any? Kindly allow me know so that I could subscribe. Thanks. We don’t have a subscriber list for GrantsWE.fund but you can follow or like us on social media on Twitter, Facebook, Linkedin or Google+. We post an article every weekday. Very interesting details you have observed, thanks for putting up. “Opportunities are seldom labeled.” by John H. Shield.